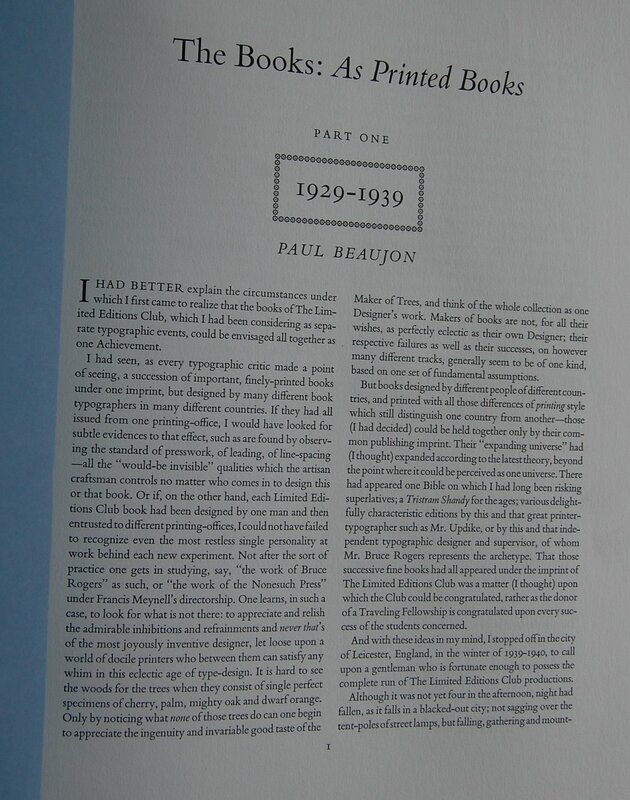 Reprint of LEC #206, 19th Series, V. 10; part of the Nonesuch Press/Heritage Press Great French Writers collaboration. The LEC issued this work earlier in 1938 with Guntar Bohmer’s illustrations. 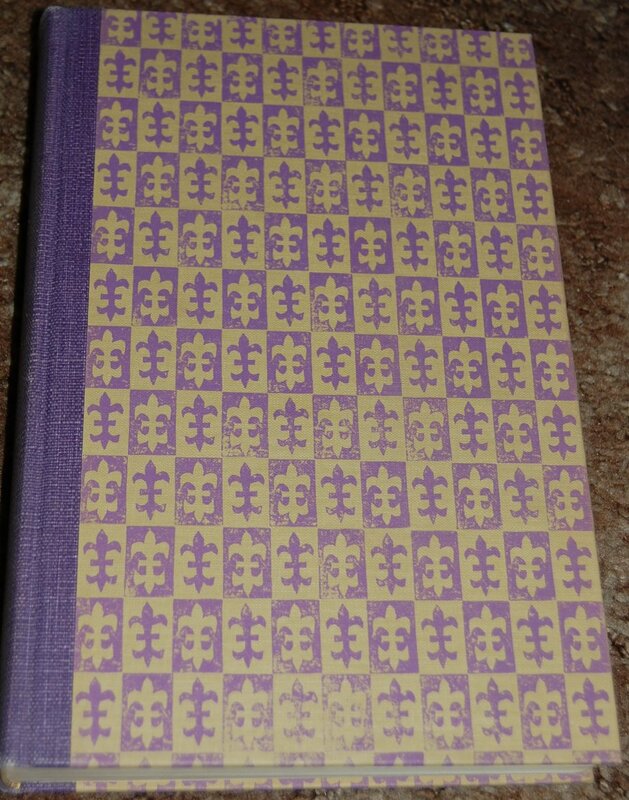 This is the Nonesuch version of the book, given the lavender coloration. 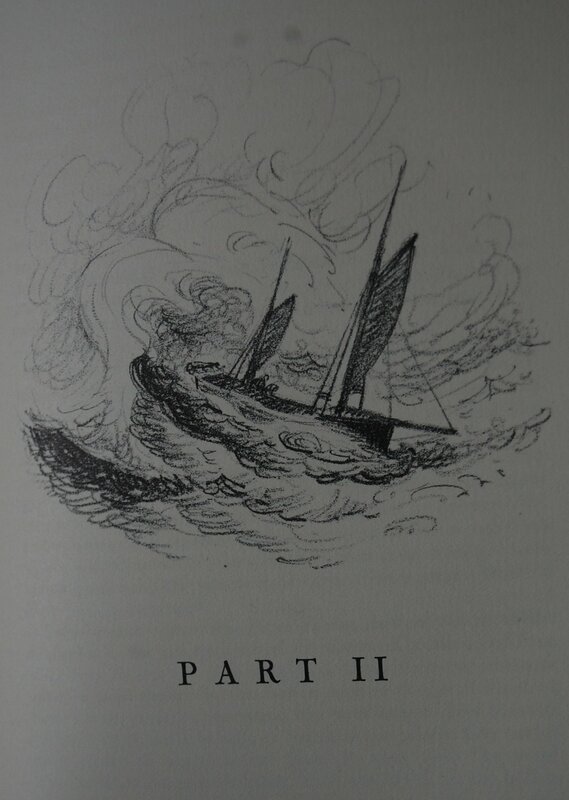 And the illustrations are indeed in monochrome. I’ll have to see if I can find a Heritage edition to compare. 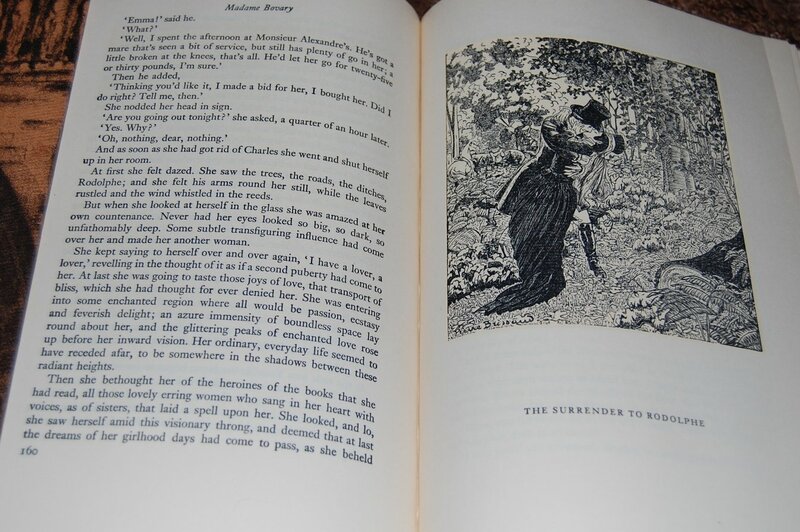 This is Flaubert’s first appearance on the blog, although he had a fairly prolific run with Macy. 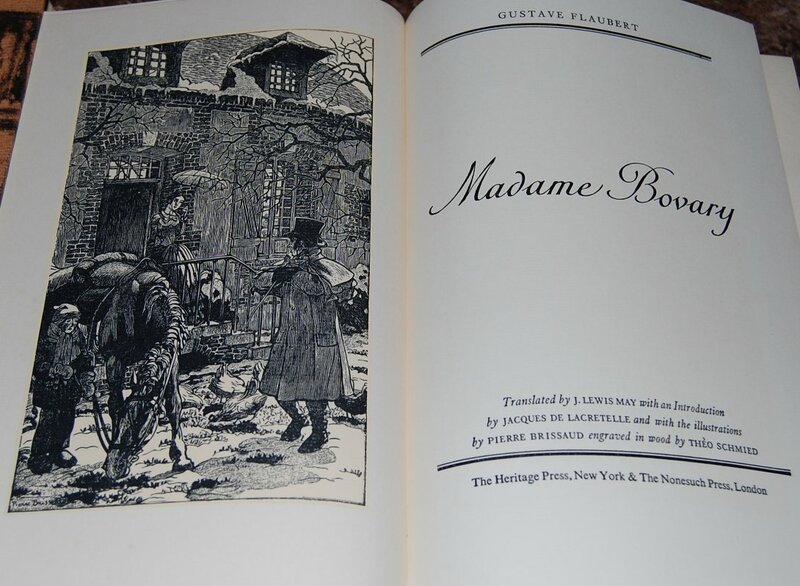 This book is actually the second printing of Madame Bovary; 1938 saw the release of a LEC exclusive with Guther Bohmer’s artwork. 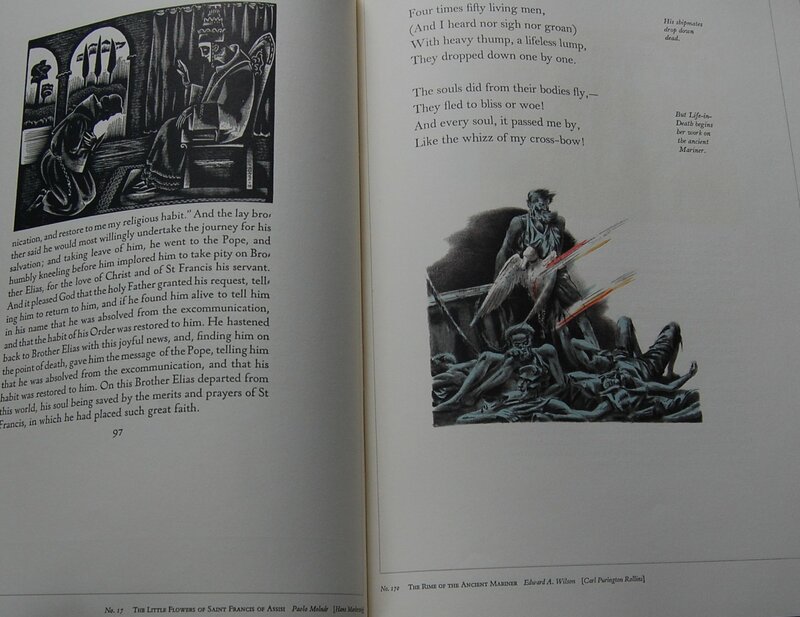 The Temptation of Saint Anthony followed in 1943 with Warren Chappell’s artistic touch. Next came Brissaud’s 1950 spin on Bovary. 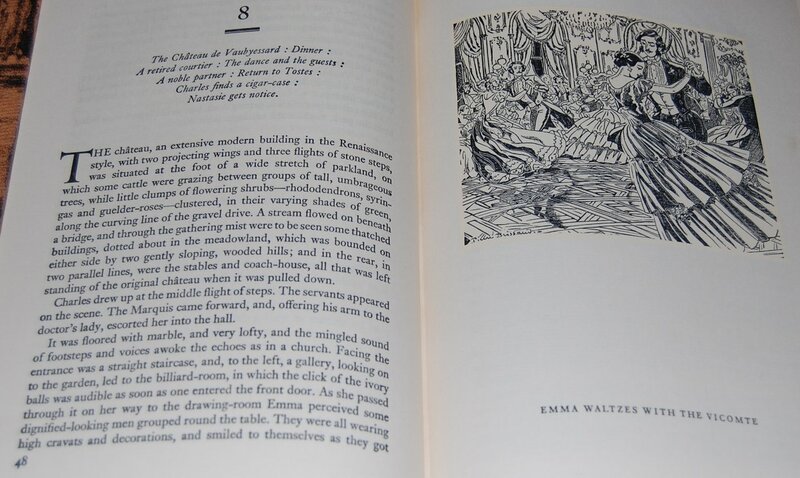 Salammbo was issued in 1960 starring the talents of Edward Bawden. 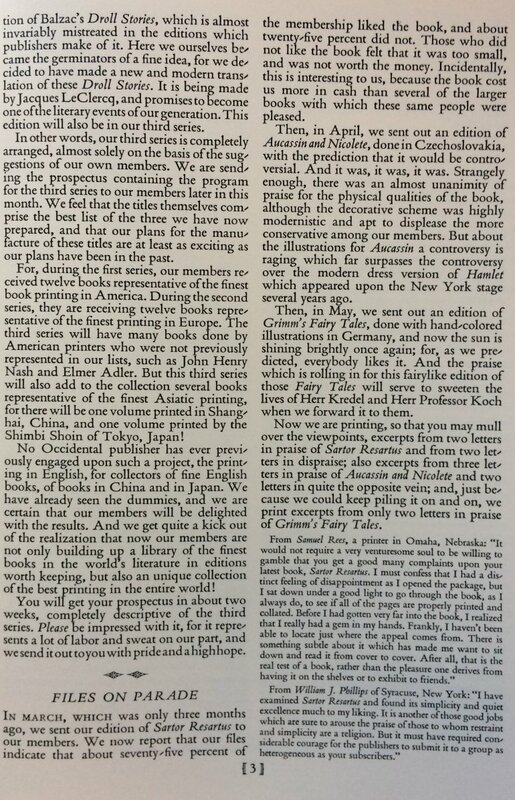 And lastly, the Cardevon Press issued Three Tales in 1978 with the art of May Neama. Brissaud, meanwhile, is on his second-to-last commission we have covered on the blog. We’ve hit all his other contributions save his Shakespeare, The Two Gentleman of Verona. World War II wrecked havoc on Brissaud, as Django observes above, and really cut his potential for Macy. Thankfully he was really really good on the books he did illustrate! I don’t have a Sandglass, so Django’s notes will have to suffice for now. 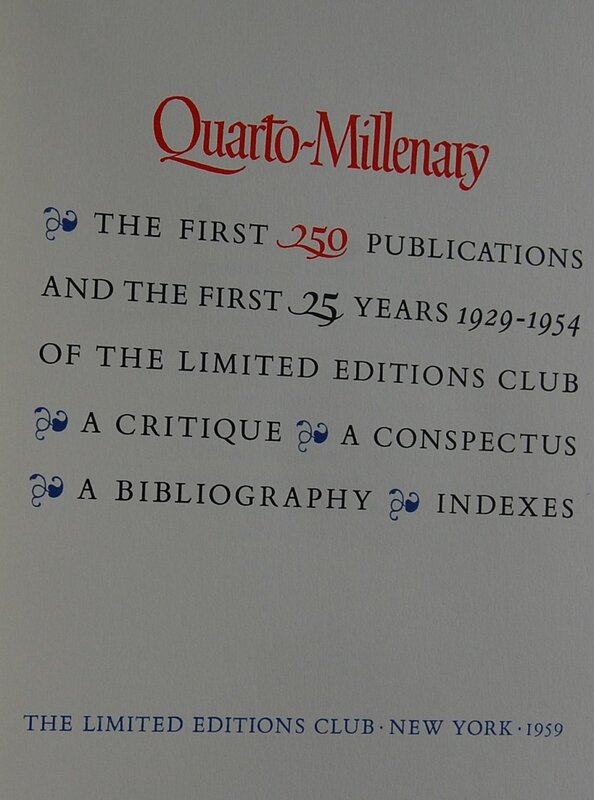 Title Page – Jacques de Lacertelle provides an introduction, and J. Lewis May did the translation from French to English. As you can see, Brissaud’s work is different than his other contributions; Theo Schmied desired to convert Brissaud’s linework into woodblock, and Macy agreed to the endeavor. Personally, I prefer the watercolors and light touch of Brissaud’s style in contrast to the woodcuts, but maybe it looks better in color. Personal Notes – This was another title Liz sent me earlier this year. #504 of 1500. LEC Exclusive. 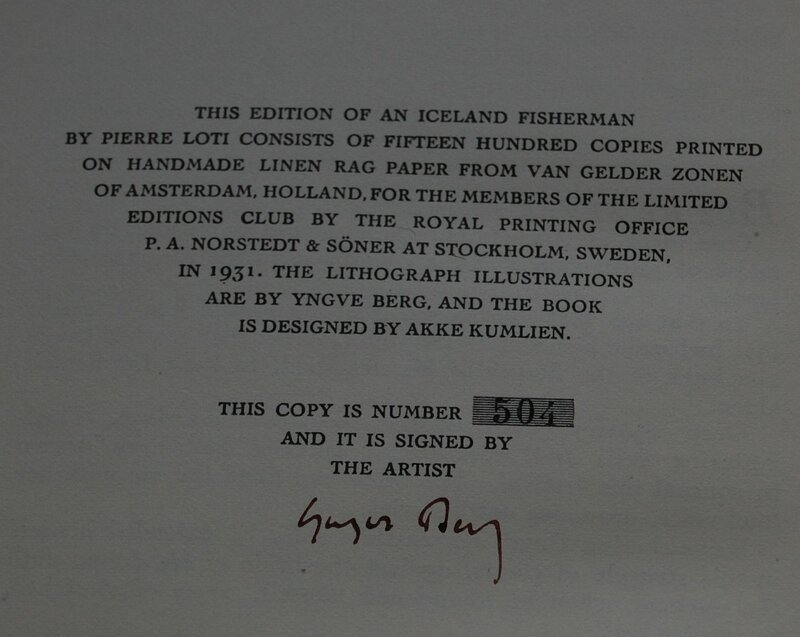 Front Binding – As chosen by the readers, the Limited Editions Club’s An Iceland Fisherman is our featured book this time. 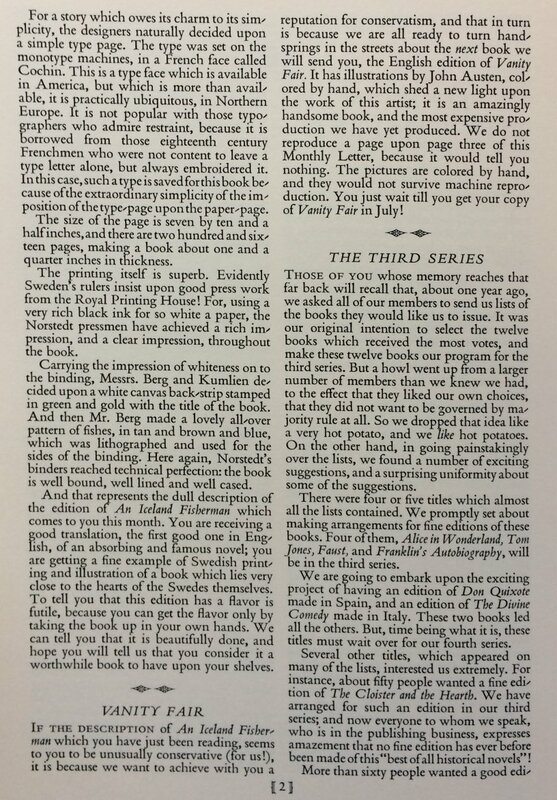 It’s been a little while since we’ve gone this far back in the Club’s history; this is from the second series of 1930-31, alongside Vanity Fair and Tartuffe. Unlike those two, this one would arguably be considered a more obscure selection by modern standards. Pierre Loti was the pen name of a French Navy officer named Julien Viaud, who first found literary success with this novel after thirteen years of writing novels for little to no fanfare. 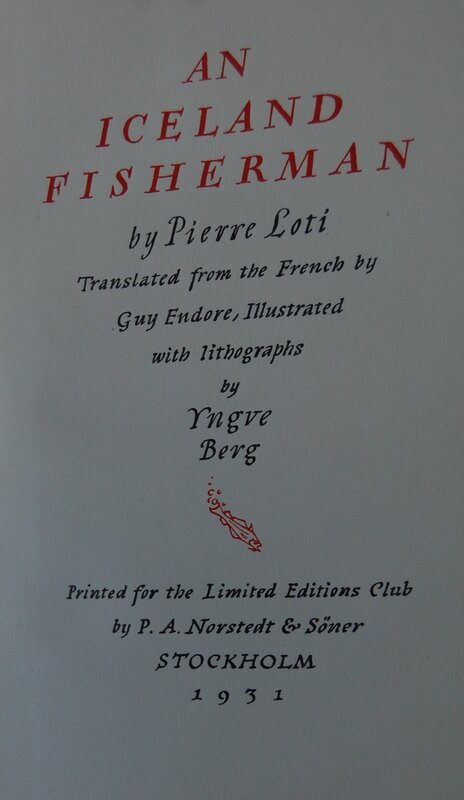 Those earlier works too became popular following the release of An Iceland Fisherman, and Loti received several accolades following this book, including the titles of the Legion of Honor and a seat on the French Academy. 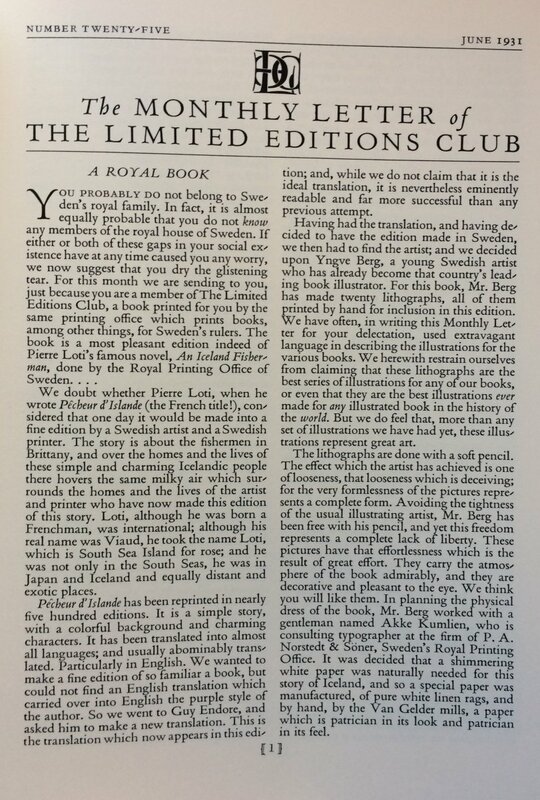 This would be the sole novel of Loti’s to get the LEC treatment, and the Heritage Press never reprinted this or any other work of his. For their edition of Loti’s magnum opus, George Macy decided to not turn to France, Loti’s homeland, but to Sweden. Recruiting acclaimed Swedish artist Yngve Berg, designer Akke Kumlien, and publishing house P.A. Norstedt and Soner, the Royal Printing Office of Sweden, this book definitely has a flavor unique to its origin country. 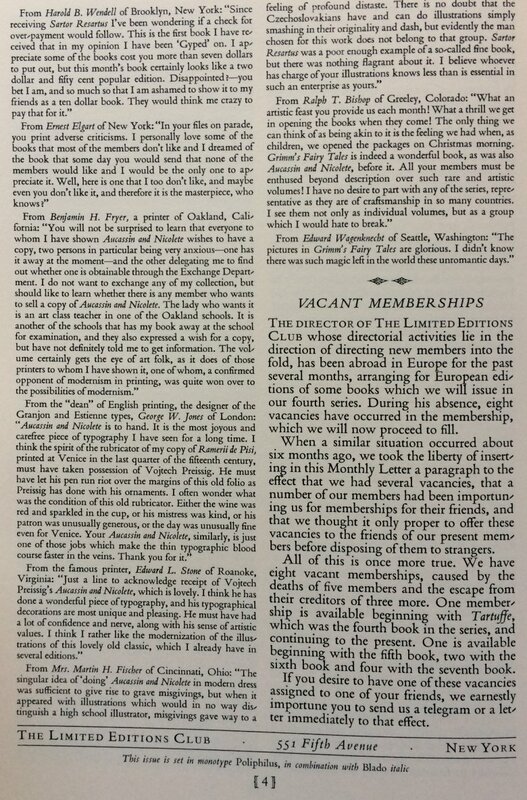 Macy doesn’t necessarily go into detail as to why Sweden was chosen for a French novel about an Icelandic Fisherman, but he does at least acknowledge that it is a bit of a curious choice in the Monthly Letter. 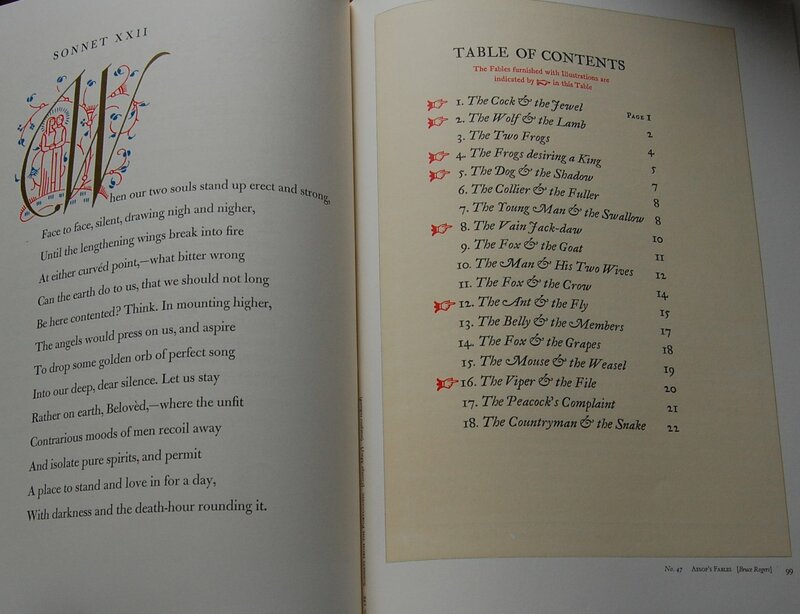 Berg only illustrated one other book for Macy (Cymbeline in the LEC Shakespeare; thanks to commenter Eric for the reminder). 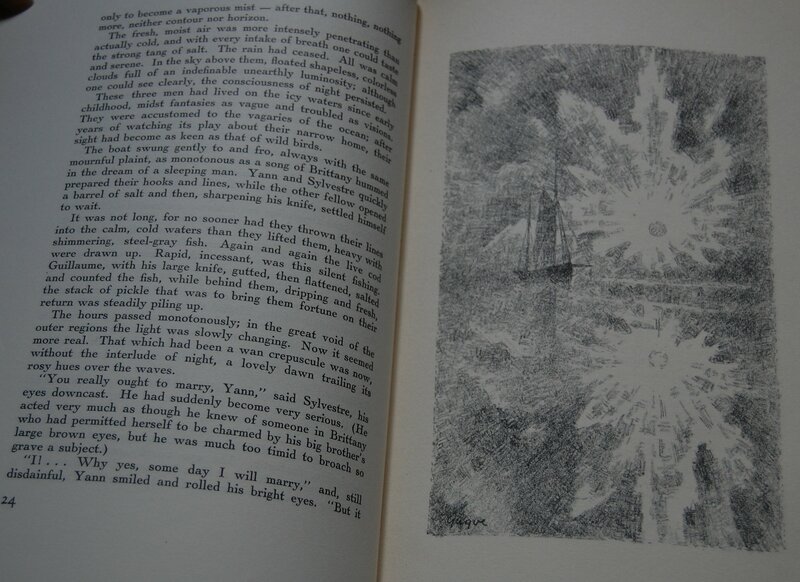 Here, his soft pencil lithographs have a haunting quality that seem apropos for a book such as this. 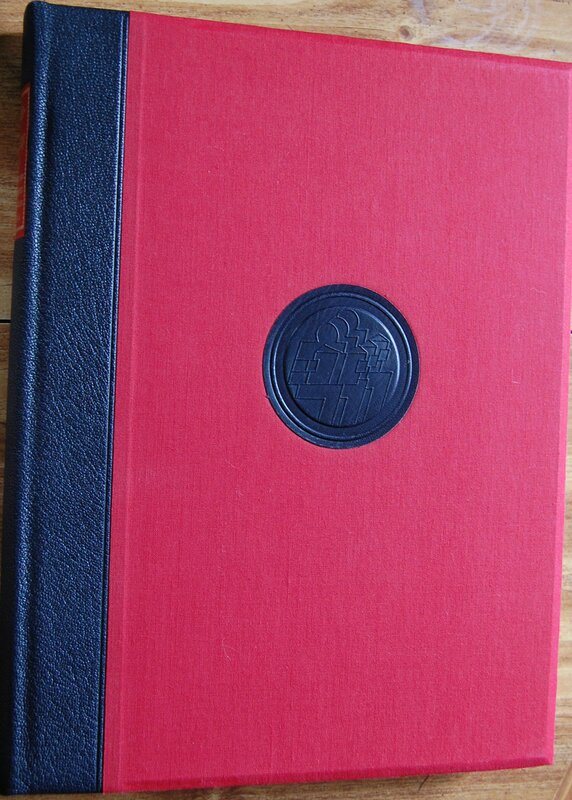 The binding is also very charming, with a simple but stunning grace with its colorful fish motif. 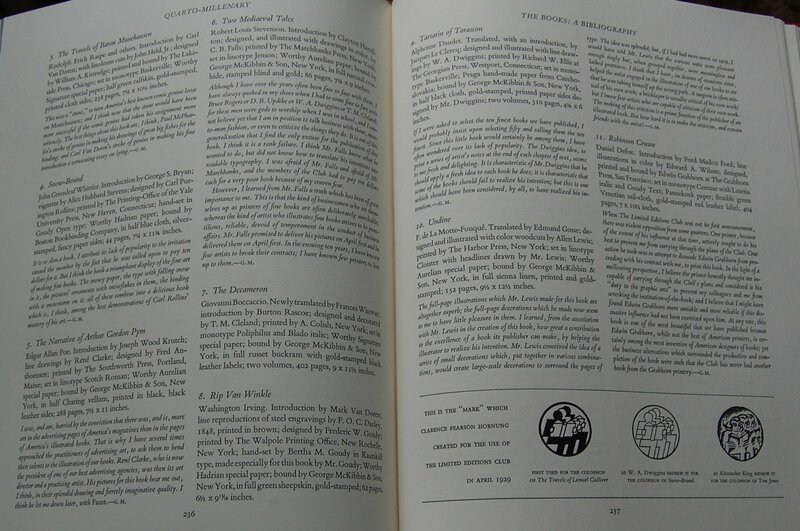 Design Notes – Berg and Kumlien share design duties on this volume, although Kumlien is the primary designer according to the colophon. Van Gelder Zonen of Holland provided handmade white linen rag paper, which was subsequently printed upon with the Cochin font via monotype machines. As noted above, P.A. 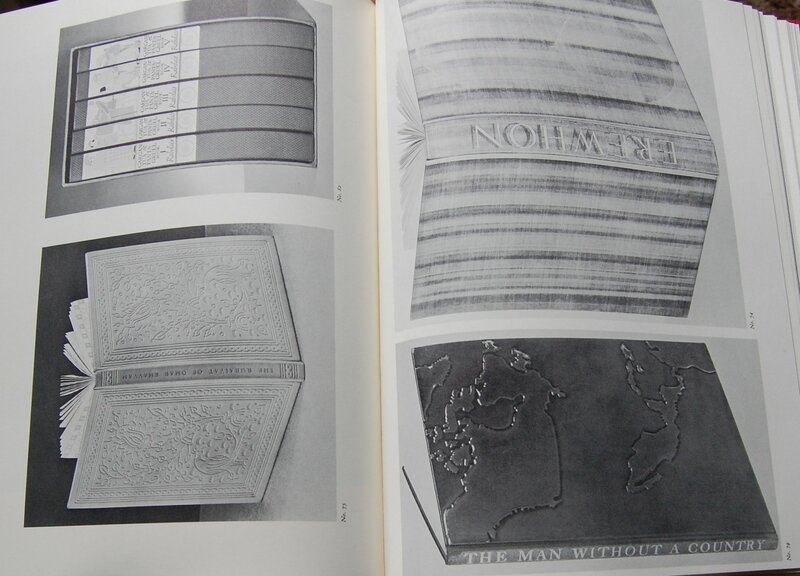 Norstedt and Soner handled the printing duties of both text and lithograph, as well as the binding. 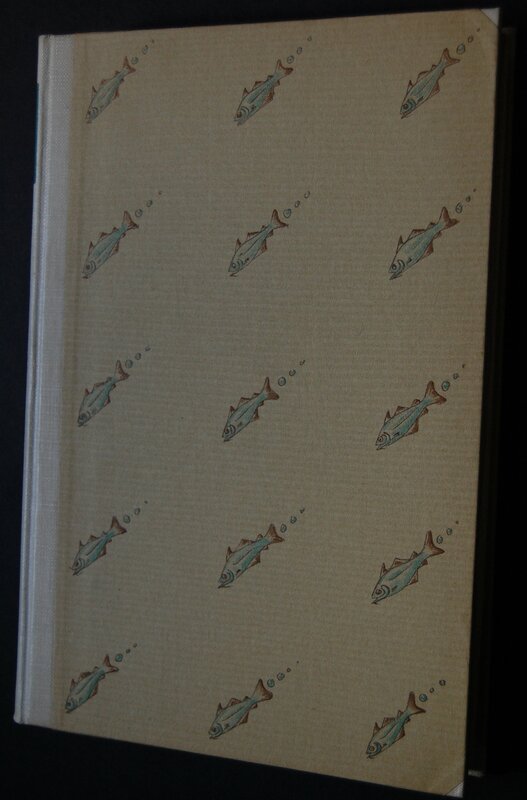 The binding’s spine is white canvas with the author and title stamped in gold inside a green box, and the front and back covered with the aforementioned fish design by Berg. I neglected to mention that Django6924 was the kind donor of the Monthly Letter. Shame on the blog founder/editor! 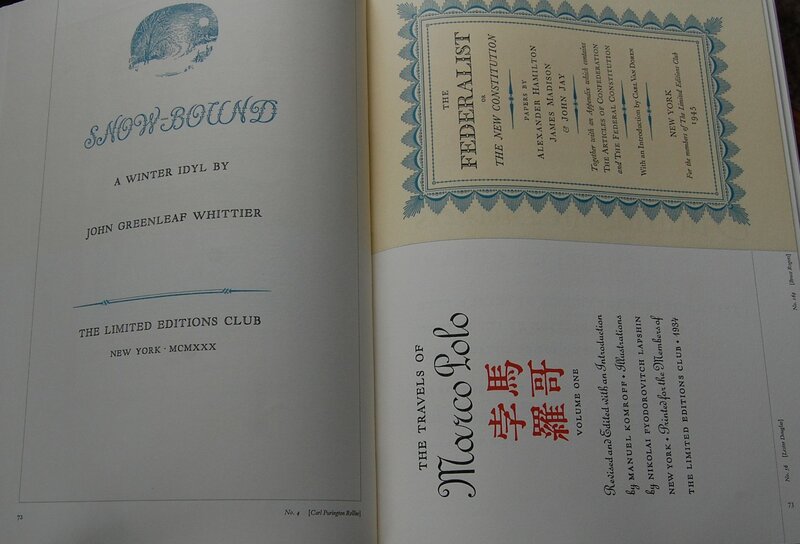 Title Page – Macy decried the lack of a good English translation of this novel, so he commissioned Guy Endore to render a new one for the Club. Endore also provides an Introduction unobserved here. 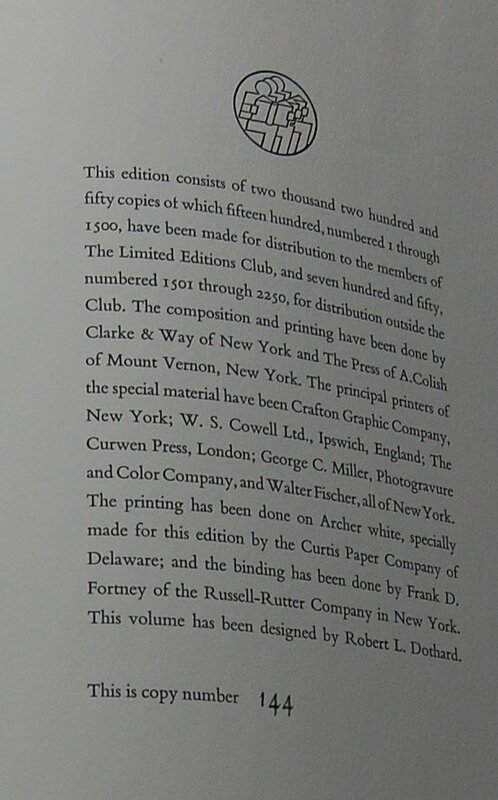 Colophon – This is #504 of 1500, and signed by Berg. 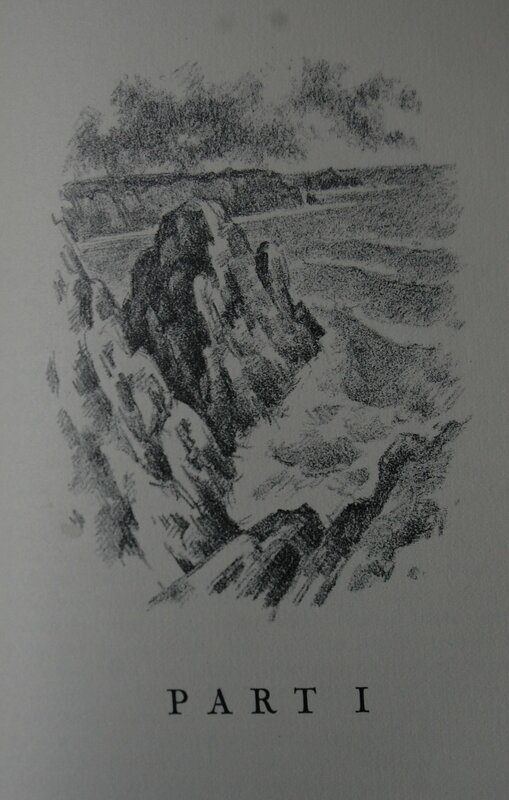 Part I – One of twenty lithographs in the book, Berg’s oceanic lithographs are quite fetching. 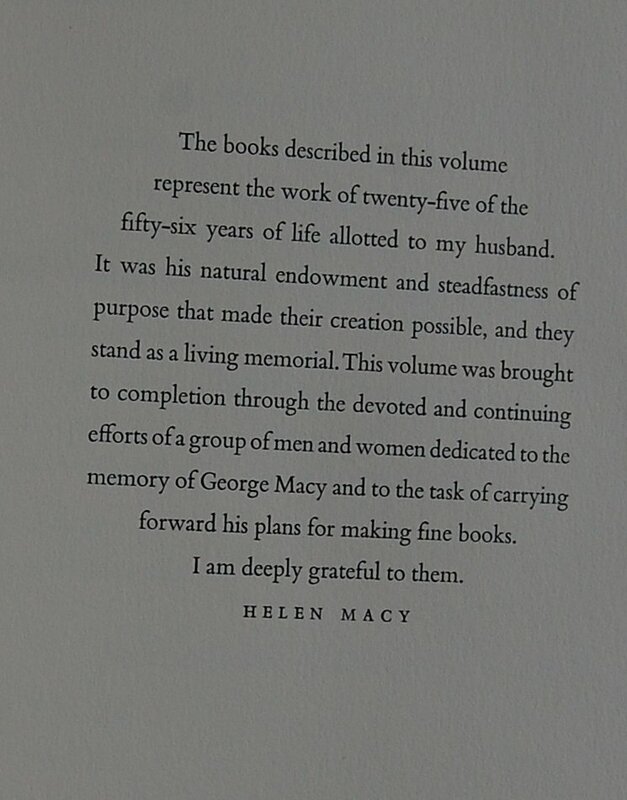 Personal Notes – There is a slightly sad story attached to this book. If I can breach into the realm of the personal (in a section called Personal Notes! ), this was purchased in San Francisco at Green Apple Books this past August or September. That by itself has no emotional attachment, but the trip in question was the last time my ex and I went out on a trip together in what was then perceived to be an attempt to do something fun and try to rejuvenate our marriage. That ultimately did not come to pass, but there is no “alas” or “unfortunately” terms to state. While at the time I wanted to try to repair and maintain our companionship, the subsequent months since this book’s purchase has highlighted how much that desire was falsified by my own insecurity and fear. Since our separation I have regained a lot of lost perspective and understanding on what exactly I want in life, which for a very long while I had forgotten. So, while I do have regret about my marriage ending, it is not a bad thing in the slightest. Instead, it is an opportunity to learn, grow and rediscover, which is what I have been doing ever since. You are currently viewing the archives for December, 2016 at The George Macy Imagery.